It may not be as healthy as the traditional spinach but if you’re not a big lover of greens this slightly spicy chorizo alternative is really delicious. Pour into a bowl and allow to cool for a few minutes before adding the ricotta, stir well. Using a teaspoon, stuff the cannelloni tubes one by one, being careful not to crack them and beginning lining them up in a long, rectangular casserole dish in a single layer. This part can be time consuming but it’s worth it. Pour the tomato sauce over the top of the stuffed cannelloni and sprinkle generously with cheddar cheese, salt and pepper. 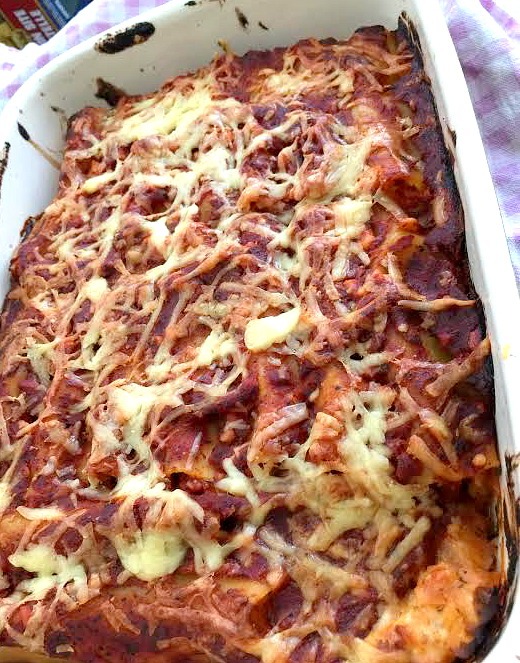 Bake for 25-30 mins on medium or until the pasta is cooked and the sauce is bubbling. 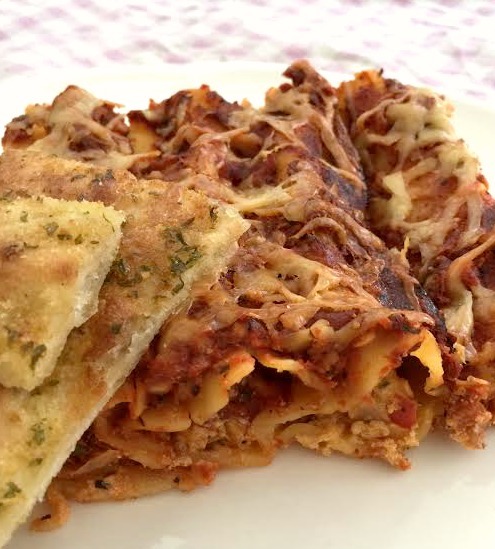 Why not experiment with other cannelloni fillings – such as chicken & sweetcorn or pulled pork & BBQ sauce? Leftovers? Reheat the next day for a more intense flavour. This looks really good but I like your idea of using pulled pork & BBQ sauce better so, we’re definitely going to try that. Also, I like your term naughty nimble — it just sounds so right. Thank you for sharing this wonderful recipe.